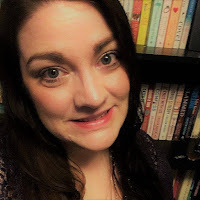 Blogger's note: I asked What a Texas Girl Wants author Kristina Knight to share the best piece of writing advice she ever received and what advice she would offer aspiring authors. Read my review of her book here and an excerpt here. The best advice I've ever gotten as a writer actually came from one of my English professors when I was still in college. She said treat writing like a job from this point on and you'll never have deadline issues in the future. I'd taken an advanced creative writing elective my Senior Year, every other student in the class was an English major with plans to go into some area of publishing. I think they all had the Great American Novel idea; I was the lone journalism major. Just after the mid-term, our professor took an entire week to talk about creating a writing schedule before it was needed. When you're young/still in school, you look at life as always having 'time'. Heck, I've been out of school for a few years now and I still think that way. But in the real world there are obligations on your time – there is a 9-5 job for most of us, there are friends who want to go out, family who need attention, a spouse who shouldn't be neglected. During that week she must have implored us ten times to find a way to make writing part of our lives every. Single. Day. Because one day of skipped writing can lead to two and that can lead to a week or a month and then…your editor is very not happy with you. 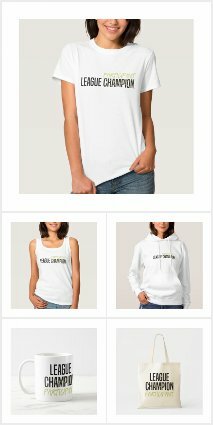 The list goes on, and I'm not complaining. But because of my early influences, I'm more prepared than I would have been had I not taken that class in that year and heard that week-long lecture series. I made time for my writing when I had a 9-5 job, now my writing is my 9-5 job but it isn't just writing the books – it's the marketing of books and the writing of new books. Except some of the big authors like Stephen King and Nora Roberts, I think all authors now have to do more than write the books. The writing should be a priority, but the day-to-day 'extra' can seem a little more important. There are days when I look at my word count and then compare that with the other constraints on my time and I want to focus on those other things – because I could clear 5-6 To Dos in the time it would take to write my 5,000 words (or whatever the goal is). It can be exciting to look at it that way. The downfall is when you realize skipping those 5,000 words can put your deadline in jeopardy. I took that advice to heart, although there have been times my daily writing is more of a journaling/free write than work on actual fiction. Making writing part of my everyday life, though, prepared me for publishing in a way that I'm thankful for now – years after that lecture series. There are still days when I'd rather take a swim in the pool than write my words, there are days when I have a number of blog posts to write or when I'm trying to work up a new marketing plan for my books and those tasks seem much more pressing than writing toward a deadline that is weeks away. But I still make my word count the priority – because those publisher deadlines just don't move. 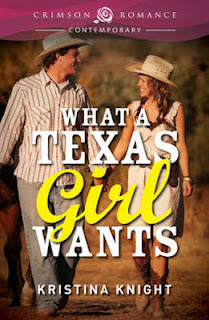 Read my review of What a Texas Girl Wants here and an excerpt here. Once upon a time, Kristina Knight spent her days running from car crash to fire to meetings with local police—no, she wasn't a troublemaker, she was a journalist. When the opportunity to focus a bit of energy on the stories in her head, she jumped at it. And she’s never looked back. 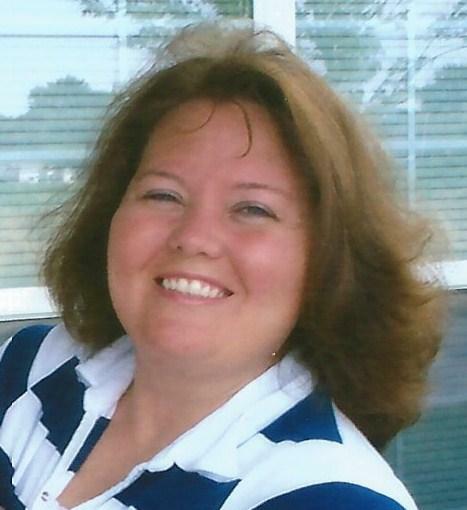 Now she writes magazine articles by day and romance novels with spice by night. She lives on Lake Erie with her husband and four-year-old daughter. Happily ever after. WOW! I loved this! Great post!